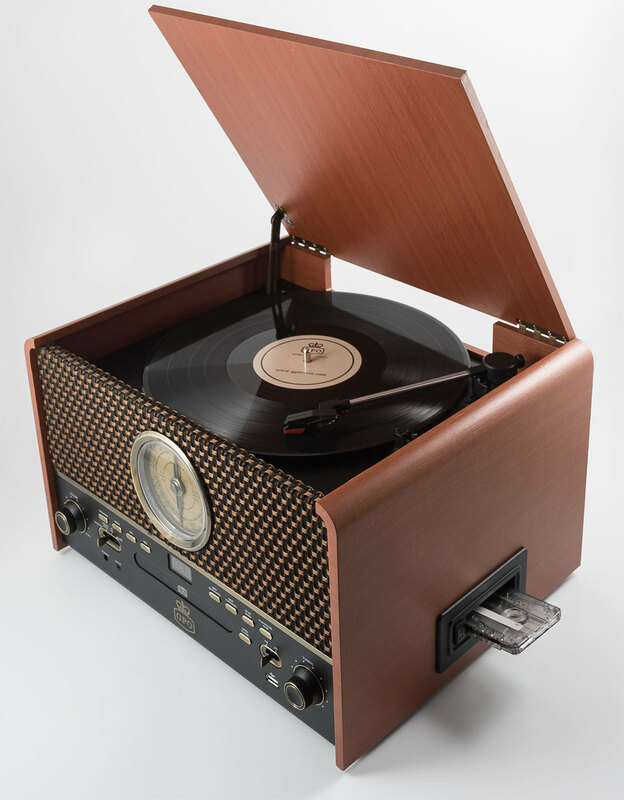 GPO Retro 1950s Vintage USB Recording Vinyl Turntable with wooden lid and Retro cloth grill. Featuring CD and cassette players to cover all your Retro listening pleasures and what's more you can take advantage of the USB encoding port which allows you to record all these music formats onto a USB stick. There's also a radio for some Retro wireless vibes. 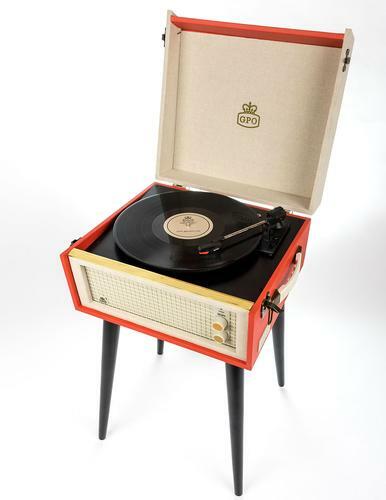 The GPO Retro 'Chesterton' Record Player makes for a great Vintage inspired gift idea and is the perfect centre piece for living spaces. 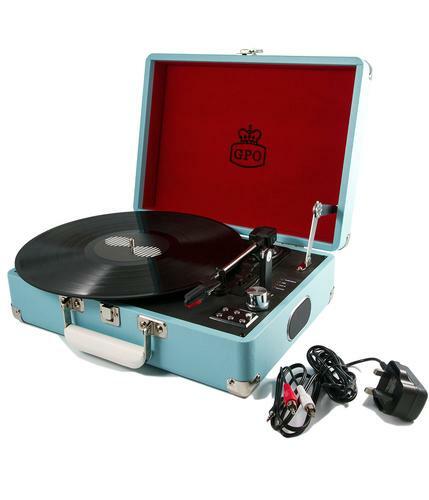 - GPO Retro 'Chesterton' vinyl turntable with CD player, Cassette function and radio. 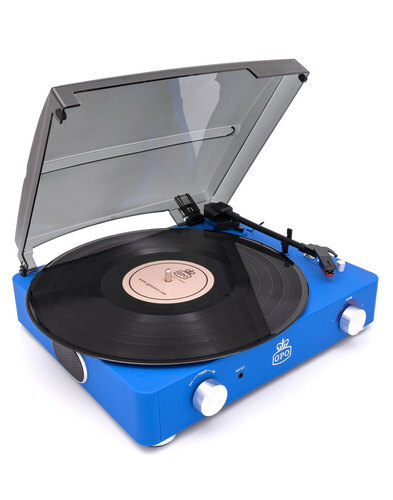 - 3 speed turntable with vinyl playback. - CD player CD/CD-R/CD-RW/MP3 playback. - Cassette player with encoding features. - Built in speaker with 2x2W output. - Retro cloth grill and centre dial with vintage finish to buttons. - Unit dimensions: 24cm x40cm x33cm. - Compatible with GPO Retro Westwood speaker and GPO Retro Westwood Mini Amp. - SKU: Chesterton Vinyl Turntable. 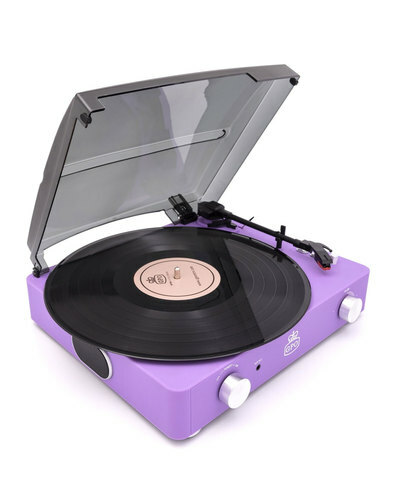 Record Player dimensions: 24cm x40cm x33cm. Dimensions with packaging: 49cm x 41.5cm x 34cm.